Spain’s powerful world empire of the 16th and 17th centuries ultimately yielded command of the seas to England. Subsequent failure to embrace the mercantile and industrial revolutions caused the country to fall behind Britain, France, and Germany in economic and political power. Spain remained neutral in World Wars I and II but suffered through a devastating civil war (1936-39). 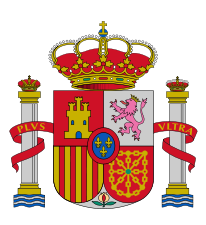 A peaceful transition to democracy following the death of dictator Francisco FRANCO in 1975, and rapid economic modernization (Spain joined the EU in 1986) gave Spain a dynamic and rapidly growing economy and made it a global champion of freedom and human rights. The government continues to battle the Basque Fatherland and Liberty (ETA) terrorist organization, but its major focus for the immediate future will be on measures to reverse the severe economic recession that started in mid-2008.